Triple Bonus Pai Gow Poker- How to play at Four Winds Casino? 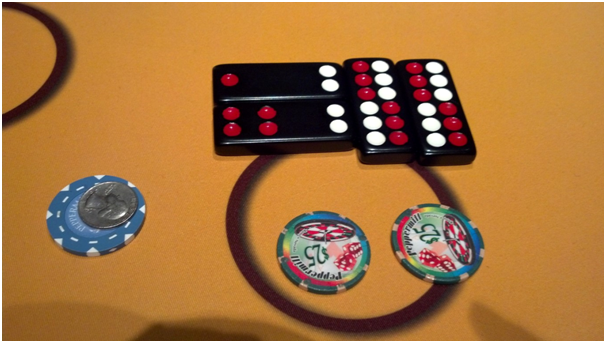 Home » Guides » Triple Bonus Pai Gow Poker- How to play at Four Winds Casino? 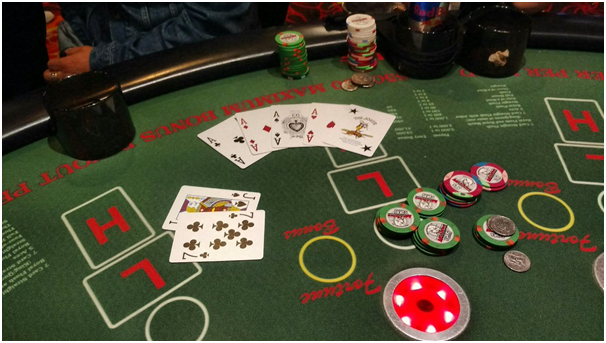 Recently Four Winds casino in 2017 introduced a twist in its Pai Gow poker game known as Triple Bonus Pai Gow. Four Winds is located in New Buffalo Michigan in the US and if you visit this casino you will find many interesting games to play. 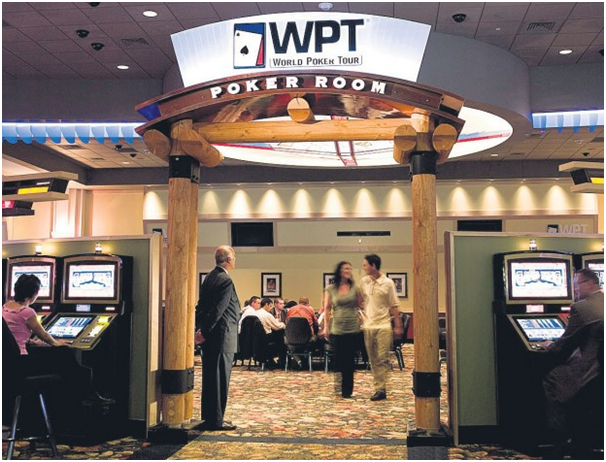 Launched in 2007 this casino is owned and operated by the Pokagon Band of Potawatomi Indians In March 2015, USA Today named it one of the ten best casinos located outside of Las Vegas. The casino’s gaming floor features over 3,000 pokies machines and over 60 table games featuring games such as blackjack, craps, poker, and roulette. Pai Gow Poker is a casino “hybrid”, a game that’s a cross between Chinese dominos or known as pai gow and American 7-card poker. It’s played at a blackjack-style table using a 52-card deck plus one joker. It’s a great way to stay in action for an extended period of time without subjecting your bankroll to the volatility of big short-term losses. Perfect basic playing strategy keeps the house edge to about 2.5 percent which isn’t bad at all when compared with other house-banked table games. The joker is not wild in pai gow poker. Rather it can be used only as an ace or as a card to complete a straight, flush, straight flush, or royal flush. A game consists of a dealer and up to six players, each of whom is dealt seven cards face down for each round of betting. The object of the game is for each player to arrange his cards into a 2-card poker hand and a 5-card poker hand. The dealer sets his hands according to established house rules. Your 2-card hand cannot outrank your 5-card hand or you automatically lose your bet. Beginners may even request that the dealer set your hands for you. When all the hands are set, the dealer compares his hands with those of the players. The player wins his bet if both of his hands outrank both of the dealer’s hands. If one is higher and one is lower, it’s a push. You lose your bet if the dealer beats your hands or his hands are identical in rank to yours. All winning bets are paid off at even money, however, every time you win, the casino collects a five percent commission. There is definitely a skill factor involved in setting your hands. Computer studies have shown there are optimum ways to play, the precepts of which keep the house edge down and increase your chances of winning. Four Winds invigorated the game with Triple Bonus Pai Gow, a twist which offers an additional bonus bet called the Community Dragon Hand. This new variation of the game, Pai Gow Poker with Triple Bonus Bets offer exciting new ways to win. The three additional bets include: Double Luck Bet, Happy Pai Gow, and Ultimate Push. The option makes it different from the traditional game in that there are only five player positions instead of six. The sixth position, located to the dealer’s left, is for the “plus hand” (Community Dragon Card) upon which all players have the option to bet. At the start of a hand players have the option to make a bonus wager before the cards are dealt. After the deal and once all the players have set their hands, players may bet the “plus hand”, or Community Dragon Hand, prior to the dealer revealing the house hand. The community ‘dragon hand’ can be bought by all of the players at the table, each player buying in for the amount of his/her bet. The dragon hand is set by the dealer the house way, since multiple players could be involved. All the players at the table set their hands. They decide whether or not to buy the dragon hand. Then dealer sets her hand before setting the dragon hand! The Dragon Hand is a side bet that allows you to play an additional hand, but only one player can play at a time. The button for the Dragon Hand rotates around the table so that way everyone has the option of having a turn. The wager for the Dragon Hand must be exactly the same amount as the player’s original Pai-Gow Poker bet. When the cards are dealt out to the players, the first available hand that is sitting on an empty spot will be the Dragon Hand. The dealer will identify this as the Dragon Hand by placing a dragon button on top of the cards. After all the cards have been distributed, the dealer will pick up the hands from any unoccupied spots, except the Dragon Hand, and place them in the discard rack. The Dragon Hand and the button will then be picked up by the dealer and offered to the next player sitting counter-clockwise to the last person who played the Dragon Hand. If the player refuses to play the Dragon Hand then it will be offered to the next player on the left until all players have been given the choice to play the hand. When moving the Dragon Hand, make sure to lift the cards no more than an inch off the table. If no players accept the Dragon Hand, then it will be placed in the discard rack. The Dragon Hand rotation will continue until a player decides to play it. When that happens, the dealer will wait for the player to finish setting their original hand and then they will place the dragon button on top of the player’s original cards before placing the Dragon Hand to the left of the player’s original hand. Some casinos will want you to wait until all of the players have finished setting their hands before giving the dragon hand to the appropriate player. Make sure you know your house rules. When the player is done setting their hand, they will lay it to the right of their original bet, in the same manner that they laid their first hand. The reason why is because, when the dealer completes the take-and-pay procedure they will start from the dealer’s right hand side and go left. This makes it possible for the dealer to check the player’s original hand first and the Dragon hand second. The dealer must not reveal the dragon hand before the original hand. If the player is banking, then they’re not allowed to play the Dragon Hand or any additional side bets. If the dealer forgets to offer the Dragon Hand and instead places it in the discard rack, then it will automatically become a dead hand. A Dead Hand is a hand that no longer qualifies as a playable hand. The bonus bet pay table offers 1,000 to 1 for five aces for the player’s hand. The dragon hand and player community bonus offers $1,000 for five aces on a wager of $5 or more. If you are interested in giving the game a try, the folks in the table games area at Four Winds will be more than happy to help you. 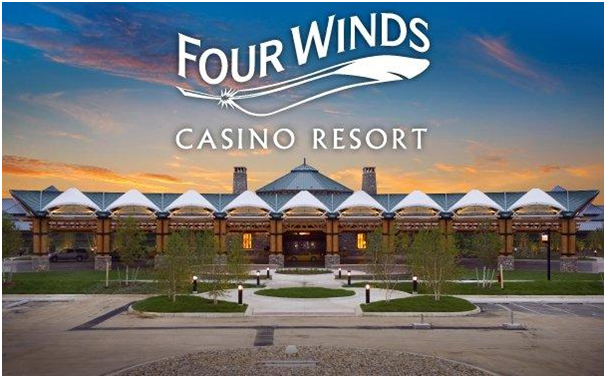 Just visit Four Winds Casino. ← What are the advantages of playing bonanza Pai Gow over the standard Pai Gow game?